It's always nice to find couples who have some of the same hobbies and interests as I do. 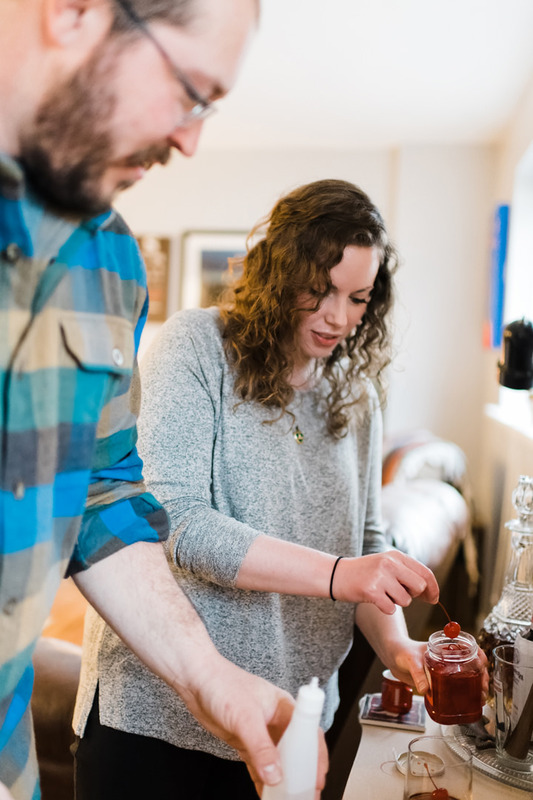 When Alison and Mitch told me they were considering an in-home engagement session where they planned to mix up a few Brandy Old Fashioneds and play cribbage together, I could hardly contain my excitement! 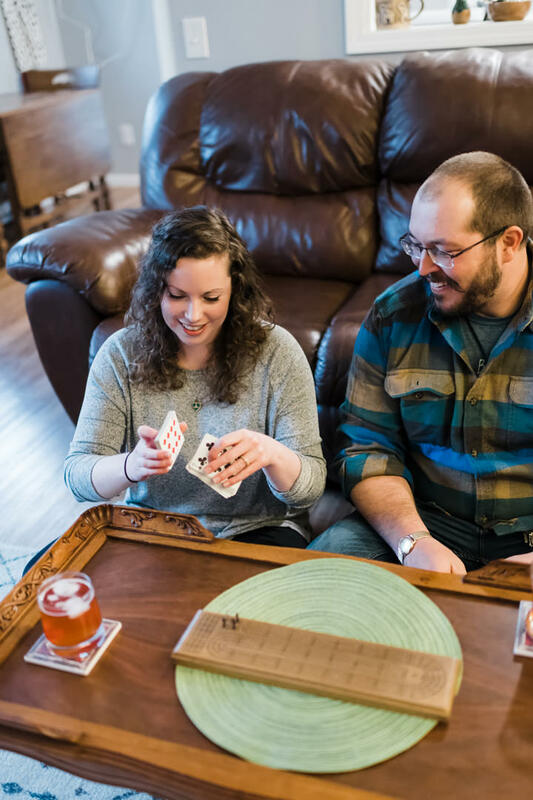 While I'm not much of a drinker (anymore), my husband and I love to play cribbage together. We've even played in a few tournaments here and there. 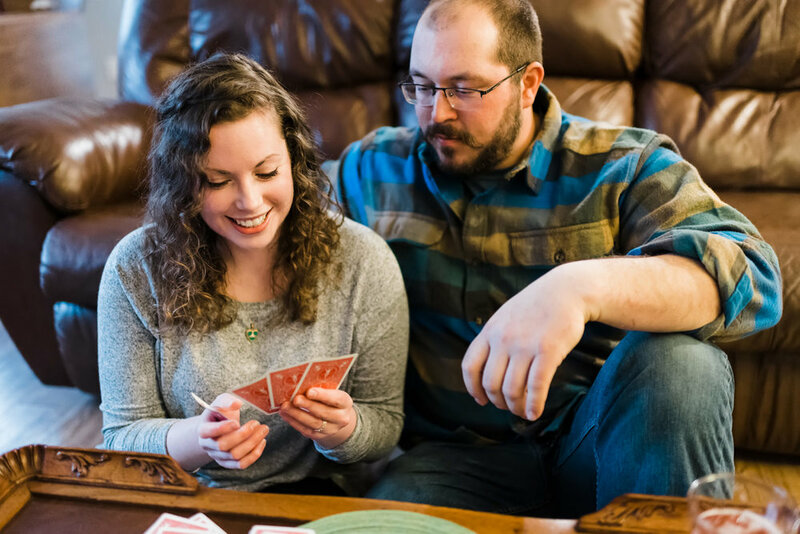 So I felt right at home with Alison and Mitch even if they felt a little awkward mixing up their drinks and playing cribbage with my camera in their faces. 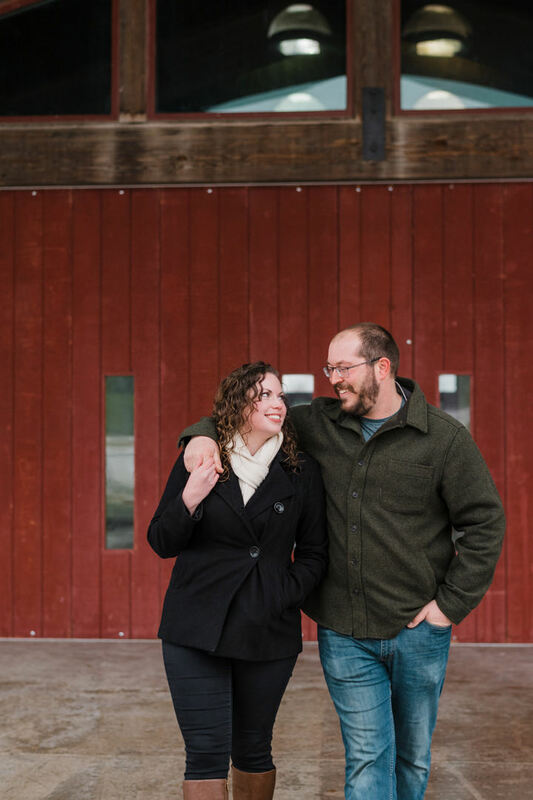 Thankfully they didn't mind too much, and we even ventured outside in the cold and rain to finish up their session. Alison is an avid photographer, and I love following her travels and stunningly perfect astrophotography on Instagram! I'm always humbled when my couples have a much better Instagram feed than I do, and Alison is definitely on that list!! It's also important to note that Alison spells her name correctly with only one L, so it's pretty safe to say their September wedding is going to be perfect in every way!